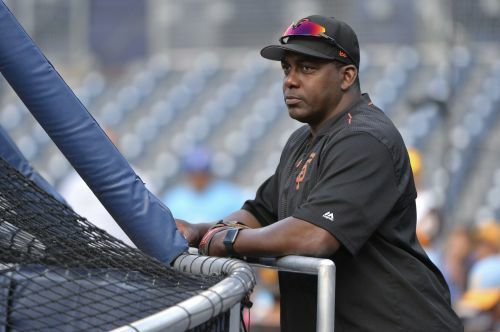 A former hitting coach with the Giants when they won World Series titles in 2010, '12 and '14, Meulens became bench coach this past season and Bruce Bochy's right-hand man in his ninth season with the club. Meulens — nicknamed "Bam Bam" — guided the Netherlands to the 2013 World Baseball Classic semifinal and a loss to eventual champion Dominican Republic, then managed the Dutch again in the 2017 WBC. When he was about 15, Meulens was on a softball team with older players and decided to hit left-handed because "I didn't want to mess up my right-handed swing," he said. He was a natural from the left side and everybody said he was as strong as cartoon character Bam Bam of the Flintstones. It stuck.